If you were ever looking to hold a popularity contest in the National Basketball Association, a good place to start would be with the jersey sales. After all, if the people are rocking your number, then it’s safe to say they like you. And according to the numbers on the NBAStore.com during the second quarter of the 2015 calendar year, it’s quite clear where the peoples’ hearts lie. The newly-crowned NBA champion Golden State Warriors have become the crème de la crème of team merchandise sales. From April to June of this year Dubs gear ranks as the most popular in the entire National Basketball Association. While people have made Warriors merchandise the top-selling in the league, fans are also showing their love to other organizations. 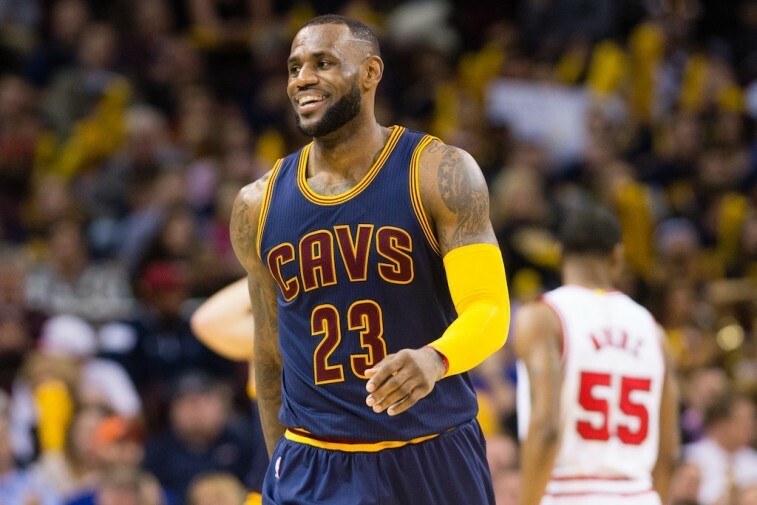 In order, the Cleveland Cavaliers, Chicago Bulls, Los Angeles Lakers, and San Antonio Spurs make up the remaining members of the five highest-selling team merchandise in the NBA. Of course, while basketball will always be a team game, that doesn’t mean there aren’t players who stand out among the rest. But have no fear, the numbers — and sales — have spoken. The fans have bought their favorite players’ jerseys and they’re more than willing to (indirectly) tell you which individuals have their utmost support. Therefore, using the same criteria — overall sales on NBAStore.com from April through June — here’s a look at the five most popular jerseys in the NBA today. The 2014-15 season proved to be a breakout year for the former No. 11 overall pick — in 2011 — out of Washington State. 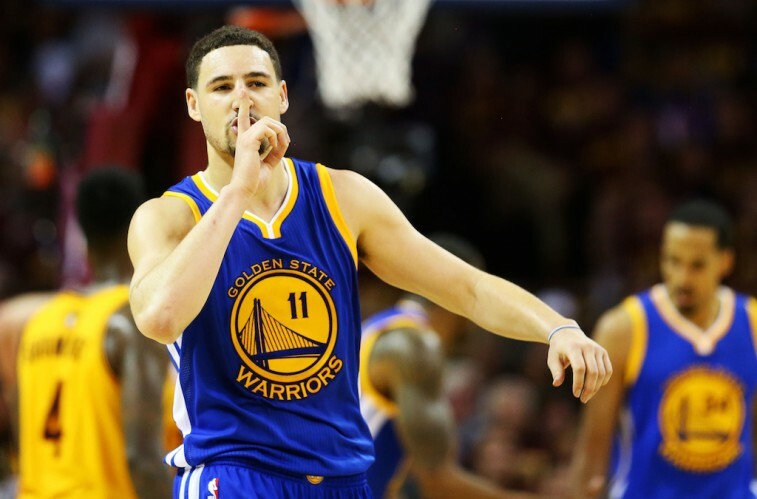 Sharpshooter Klay Thompson averaged 21.7 points per game, shot 46.3% from the field, and connected on 43.9% of his triples. He was named to his first All-Star team and was a Third-Team All-NBA selection. Of course, if we’re looking for that “standout” moment, all we have to do is look back to his performance on January 23, 2015 when he dropped 37 points in one quarter against the Sacramento Kings. With sniper abilities like that, it’s no wonder Thompson No. 5 on the highest-selling jerseys list. 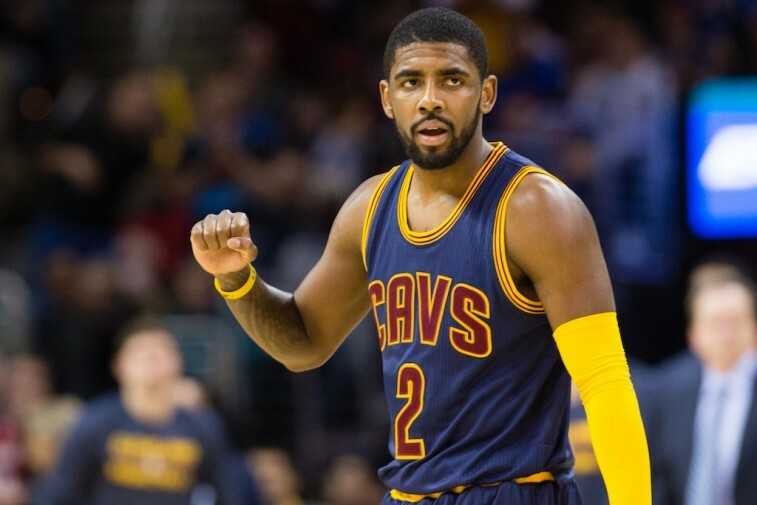 Until he was ultimately brought down by injuries in the 2015 NBA Playoffs, Cleveland Cavaliers point guard Kyrie Irving was one of the most exciting players to watch in the entire league. He has an unbelievable handle, a knack for getting to the bucket, and range for days. He proved to be an invaluable piece in the Cavs turnaround season — notching 21.7 points — and was rewarded for his efforts by being named first-ever All-NBA team (third team). It’s clear his popularity amongst fans rose to an entirely new level this season. The fact that his jersey has since become the fourth-highest seller in the NBA only validates this claim. As long as Derrick Rose is able to step onto the basketball court, fans will continue to cheer for the ultra-talented point guard. Despite being limited to just 51 regular-season games and suffering another knee injury, his popularity continues to remain in tact. If you ask us, this will always have to do with his undeniable potential and the fact that he, when healthy, is nearly impossible to contain. His bounce, creativity in the air, and ability to weave through tight spaces is an absolute joy to behold. 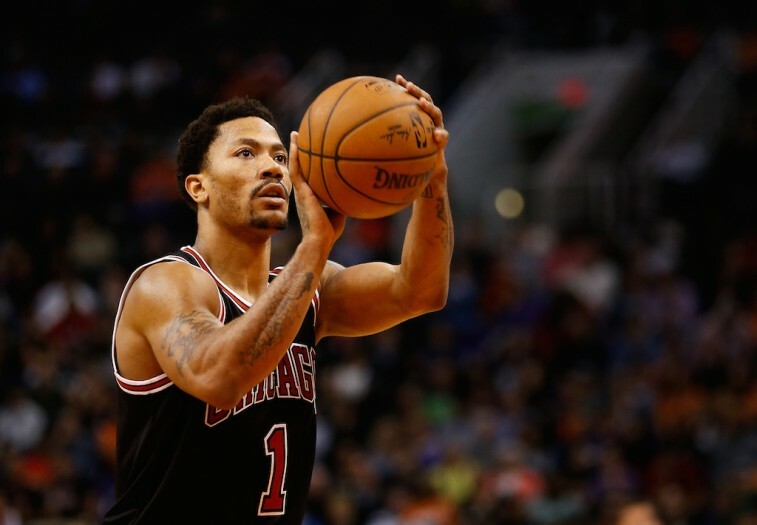 Fans love their D-Rose and that’s why they still flock in large numbers to buy his jersey. In the 2015 NBA Finals, LeBron James reminded everyone that he is still the best basketball player in the world. 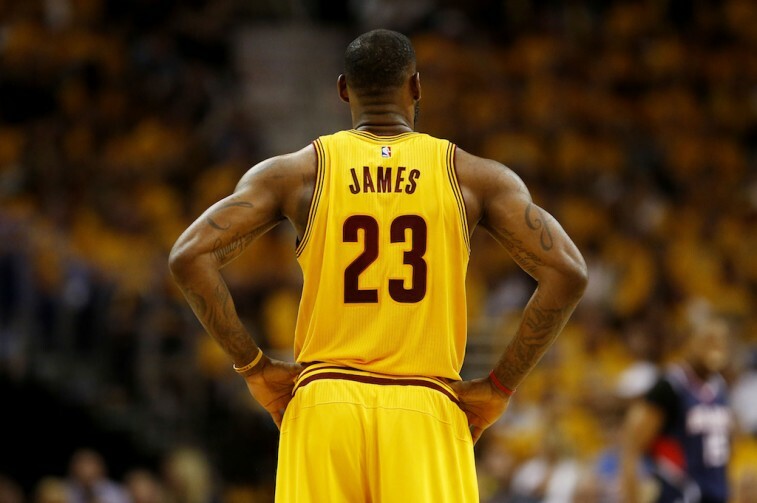 With a historical performance — where he averaged 35.8 points, 13.3 rebounds, and 8.8 assists per game — the King almost singlehandedly willed the undermanned Cleveland Cavaliers to victory over the league-best Golden State Warriors and further cemented his legacy among the all-time greats. While his jersey sales may have fallen to the No. 2 slot overall, we wouldn’t be surprised to see that change come next season. After all, we don’t think James is quite ready to relinquish his crown just yet. Let the record show that this has been the year of Stephen Curry. All-Star. First-Team All-NBA. MVP. NBA champion. 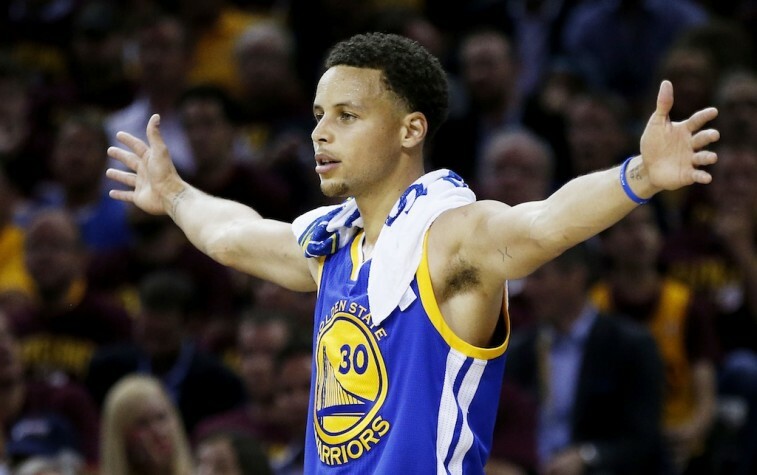 The Baby-Faced Assassin has been nothing short of spectacular, as he and the Golden State Warriors have risen to the top of the NBA mountain. His fame and popularity is only matched by the sweetness of his stroke. If you keep cooking, Chef, the people will come. They’ll most likely be sporting your top-selling jersey and they’ll be hungry for buckets. All statistics are courtesy of Basketball-Reference.com and NBA.com. To see the rest of the Most Popular Jerseys in the NBA, click here.